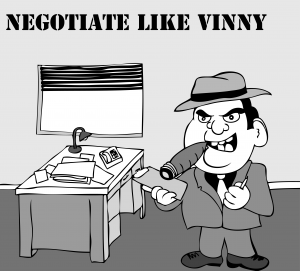 Negotiating aka haggling does come easier for some people. For example, my parents are from Europe and although I was born and raised in North America, my family was comfortable negotiating on both major and minor purchases. This was part of their upbringing and they are more accustomed to this form of trade or commerce. As a result of having witnessed this growing up they managed to instill these traits in all their children. Looking back, after over 30 years in the Materials Management field, I have come to realize becoming a Purchasing Agent had much to do with my upbringing. My parents used every opportunity to expose their children to real life financial transactions and nurtured the importance of achieving the best possible product at the best possible price. To be honest, for our family, negotiating an acceptable unit price on a major expenditure was a necessity. One of these real life transactions — my Father had me actively involved in the negotiation of my first major purchase. An automobile and at the tender age of 16. Yes I had a car, which I bought and paid for with my own hard earned cash! Our last post on spend analysis was part 1 of our cost saving series and we are going to stay focused on this topic by providing areas to save money both within and outside of your organization. We noted the importance of going after your class “A” Vendors or your top 20 which account for 80% of your spend. This is our target list and we will review how as a Buyer you can better leverage your vendors experience to help you generate cost savings. In this scenario, your pricing on products you purchase is acceptable and lets assume they are under contract. Now where do you turn to find the next round of savings? More cost savings can be found in your suppliers’ organization. Pardon…you want me visit my suppliers and tell them what they can do to reduce costs so I can get a better deal? Not at all, we are suggesting you get into the heads of their technical and support staff to mine their knowledge, experience and ideas. 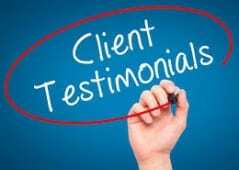 They have a long list of clients which use their product and have experience and knowledge of potential best practices. This can be useful information. While asking vendors to divulge proprietary information is not appropriate, you can ask for suggestions on what we can do better. Keep in mind Vendors would rather you seek cost savings elsewhere versus from their pocket so they should be quick to jump on this approach. The technical knowledge of their own products. There is no better source to suggest alternative specifications or practices which can reduce expenses without sacrificing quality. They are a known entity.